It’s like a Michael Bay movie. You’re driving down the road. You’ve got your family or some groceries in the back seat, and you’re headed home after a long day. AND SUDDENLY YOUR BACK WINDSHIELD JUST EXPLODES! Of course, you may swerve around a bit on the road, but eventually you come to a safe stop, breathing hard, wondering who hired a sniper to tag you. You call the authorities, and after a thorough investigation, it is determined that nothing at all hit your car’s back windshield. It just shattered on its own. Now you’re wondering what ghost you ticked off. Well, here at Advanced Auto Glass, we want you to know two things. No one wants you dead. Promise. And there’s not a ghost haunting your car. Promise. There’s a very simple, science-y explanation for why your glass seems to explode “for no apparent reason”. 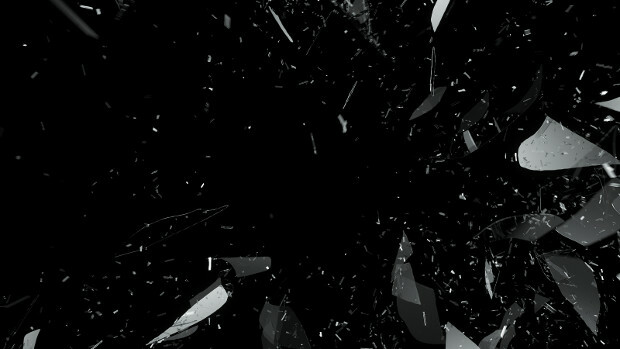 Every car or truck on the road has the potential for a crazy exploding glass scenario, especially if your vehicle was manufactured using Tempered Glass. Let me give you some other familiar items that use Tempered Glass, so you know this isn’t some conspiracy by the automotive industry. The glass on your oven door. The computer screen you might be reading this on. The windows on doors and storefronts. Your tub or shower’s enclosure. Skylights in that mansion we all wish we could have. Tempered glass is everywhere, and there’s a reason. Tempered glass is infinitely safer than regular glass. Insanely so. When it breaks, tempered glass disintegrates into millions of little balls that do not have jagged edges to cut you. This also makes it easier to clean up. You can just vacuum up the tiny balls of glass sleet. No worries. Another reason automotive manufacturers in particular prefer tempered glass is that it is four or five times stronger than standard glass panes. Tempered glass may be referred to as “safety glass”. Tempered glass has become the ideal automotive glass choice for many manufacturers and consumers. Now, you’re probably thinking I am ignoring your exploding glass. Nope. Just getting to that. So, you are correct. Nothing hit the glass right before it “exploded” into all of those tiny glass pellets. The key phrase there is “right before”. At some point in the life of your auto glass, it was struck by something somewhere. Tempered glass withstands a lot of abuse in its life, and it holds up to a lot more than standard glass panes. The thing is, it’s not impervious. It may hold up while we need it to, like when that wood-chip truck was barreling down the highway and flinging bite-sized tree-based missiles at your car. But the glass has a long memory. Eventually, the old war wounds come back to haunt the glass, and voila. Mysterious exploding glass. Now, with all of that being said, Tempered glass is still the best option for vehicles on the road today. It usually does not cause damage to people or possessions, because of its breakage pattern, and it usually does not break at the moment of impact, which keeps you safer in a wreck or other dangerous situation. A few hours of vacuuming up tiny glass BBs is not that big a price to pay, all things considered.